The Pine Belt Pacers running organization participated, along with Hardee’s and the Grand Central Outfitters. More than $34,000 was raised. The 7th Lighthouse Dash begins in Petal Saturday morning. 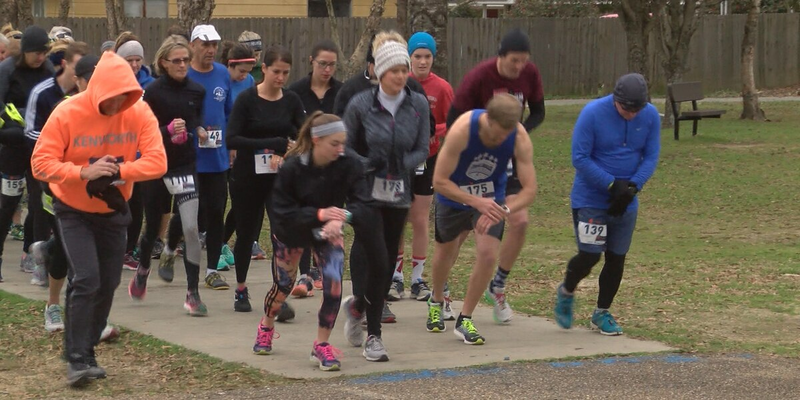 PETAL, MS (WDAM) -Dozens of runners and walkers and some local businesses teamed up Saturday morning to raise money for a Petal food bank. A 5K run and two-mile walk called the “Lighthouse Dash” took place at Hinton Park. It raised money for the Petal Children’s Task Force. The Pine Belt Pacers running organization participated, along with Hardee’s and the Grand Central Outfitters. More than $34,000 was raised. “We used to do Christmas presents, but now, we are totally a food bank, so we do food boxes and also Thanksgiving boxes and Christmas boxes,” said Demaris Lee, executive director of the Petal Children’s Task Force. The organization was founded in 1989.